The project is anticipated to attract more than $750 million in private investment; generate more than 4,000 construction and 3,000 permanent jobs; and generate around $25 million in annual tax revenues to the city, city schools, county and commonwealth. 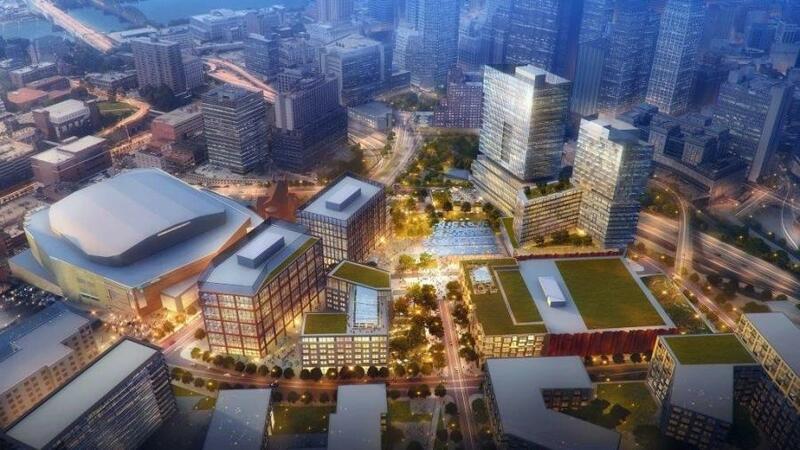 Pittsburgh Arena Real Estate Redevelopment (PAR), an affiliate of the Pittsburgh Penguins, announced on March 8 a new development team and dynamic new master plan for redevelopment of the 28-acre site next to the PPG Paints Arena in the Lower Hill District. The project will feature a mix of residential, commercial/office, entertainment and food venues, retail and parks/green space and an innovative energy hub. The development will include meaningful connections to historic and cultural attributes of the Hill District and will attract hundreds of millions in private investment to the centrally-located, highly-visible redevelopment area. "We have been hard at work over the past several months building a new development team and working with our business and community partners on an exciting new master plan that incorporates what we have been hearing from the community," said David Morehouse, president and CEO of the Penguins. "There is development momentum across the city, and our development is the center of energy that re-connects the Hill District with downtown, and creates an economic and investment engine that will deliver millions in direct investment into the community." "It was worth the time to listen closely to our Hill District partners and get this right," Mayor William Peduto said. "With the help of the Penguins and their development team we're delivering on promises of new jobs, affordable housing, and a historic re-connection between the Hill and the heart of the Downtown business district." The project is anticipated to attract more than $750 million in private investment; generate more than 4,000 construction and 3,000 permanent jobs; and generate around $25 million in annual tax revenues to the city, city schools, county and commonwealth. Under the Greater Hill District Reinvestment Fund established in 2015, an additional estimated $25 million in funding is expected to be generated from the project for direct investment in the middle and upper Hill District. PAR and its development partners also have begun working closely with the regional building trades unions, the Pittsburgh Promise, and Partners 4 Work on building a workforce development plan to leverage opportunities for students to find better access and opportunities to work with the building trades. Morehouse introduced PAR's new development team: The Buccini/Pollin Group (BPG) will be serving as the master developer role in commercial and office development, and the minority-owned partnership Intergen will serve as lead housing developer. BPG is a real estate acquisition, development and management company that has developed and acquired hotel, office, residential, retail and parking properties throughout the United States, with a total portfolio value of more than $5.0 billion. "This is going to be a destination development comparable to the very best mixed-use projects across the country," said Chris Buccini, co-president. "My partners and I are excited to expand our presence in Pittsburgh and to help the Penguins and the community realize the tremendous potential for this special location. We are prepared to invest in the expansion of the urban core at a time when there's so much interest and energy in this market." The lead residential development partner is locally-based Intergen, a minority-owned business that specializes in what it calls "impact development" within mixed use mixed income projects throughout the country. Keith B. Key is one of the three members of Intergen and he's also a Hill District native and CEO of KBK Enterprises, an active real estate development company with offices in Pittsburgh. Intergen, short for Intergenerational, also includes a developer from the Hill District, Bomani Howze, CEO of OLMEC Development Company and Robert Agbede, a seasoned Pittsburgh executive of Hatch and Associates, an engineering company with a more than 100-year history in Pittsburgh. "Intergen Real Estate Group is honored and excited to be a part of this landmark development in the Lower Hill District in partnership with the world-famous Pittsburgh Penguins organization," said Key. "As a native of the Historic Hill District, this development has an extra meaning for me, and will allow Intergen to serve as part of the bridge building team to help reconnect the Hill District with Downtown Pittsburgh, both physically and emotionally. Having a Community Collaboration and Implementation Plan [CCIP] in place ensures that Intergen will live up to our commitments made for affordable housing, MWBE contracting, and local employment opportunities," said Key. The development partners hired architectural and design firms Gensler and OHM to create the new master plan. Local projects reflecting Gensler's work include the Pittsburgh International Airport, 3 PNC Plaza/Fairmont Hotel and the iconic PNC Tower. 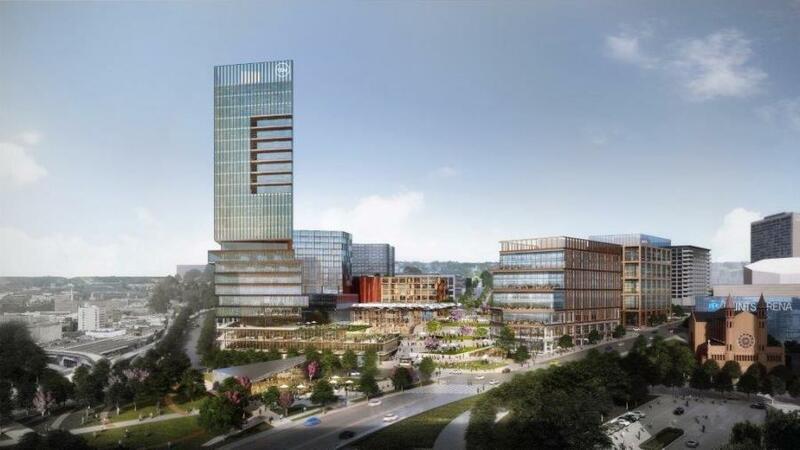 OHM Advisors is serving as Intergen's architectural team on the housing portion of the development, and is working closely with Gensler to produce a world class development master plan. Cap Connection Park — The Sports and Exhibition Authority is out to bid on the construction of the Cap over the Crosstown Connector to re-connect the Hill District to downtown, with bids expected by end of March and construction expected to begin in summer 2019. The $26.4 million project is funded largely by a federal TIGER grant and other local investments. The Cap will provide a new 2.6-acre public park along with a direct link with improved pedestrian access between downtown. Housing First Phase — Intergen is poised to begin development of approximately 500 units of rental housing. The first phase of 250 units are planned to begin by fall 2019, with an affordability component of 20 percent of the units being affordable at 80 percent of area median income (AMI), consistent with the goals of the Community Collaboration and Implementation Plan (CCIP). Office and Retail First Phase — BPG is working toward development of several projects on the site, including a first phase development on Parcel F along Centre Avenue of a 200,000 sq.-ft. mixed use building with 50,000 sq. ft. of retail. BPG and its commercial leasing team are in advanced discussions with prospective office and retail tenants. An announcement related to an immersive food, beverage and entertainment tenant is expected shortly. 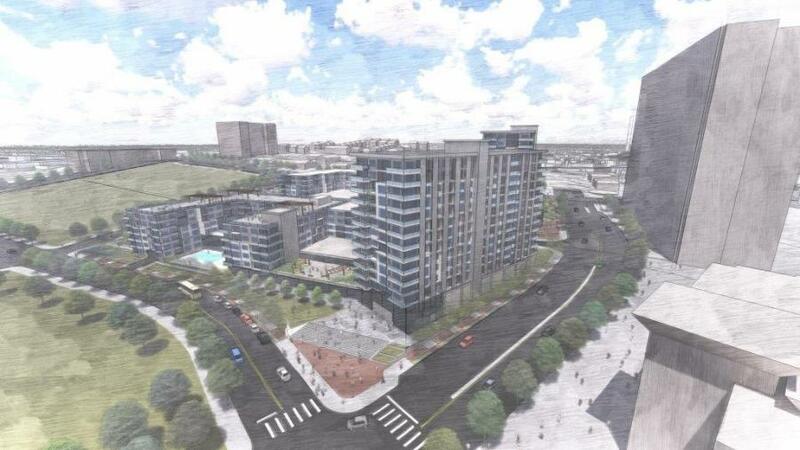 This first phase mixed use development is expected to begin by winter 2019. New Public Park — The new development plan includes a terraced park through the middle of the site reconnecting the Cap park along Wylie Avenue to the Hill District community, with more than four acres of green space and storm water-mitigating green infrastructure. Curtain Call — Respecting and honoring the Lower Hill District, the development partners would like to explore with the community the installation of the "Curtain Call" public art project commemorating notable Hill District residents, events, historic/cultural significance. Small Business Opportunities — The new development plan includes a number of architecturally significant kiosks for incubation of small businesses, as well as a large food hall to be brought to life by local chefs and food outlets. Sustainable Energy Hub — The development includes a historic commitment to sustainability through the implementation of an innovative, sustainable energy generation and management plan via a micro-grid powered by low-emission natural gas and renewable energy sources. PAR and its development partners have been working closely with local elected officials and the CCIP committee for several years to build a sustainable partnership for ongoing community engagement and support for the development plan, including weekly meetings and updates with the CCIP leadership committee over the past several months. State Representative Jake Wheatley has been working hard in Harrisburg to support equitable development for the Lower Hill site. "I am extremely excited about the positive momentum occurring with this project. The Penguins have been great partners, and with the addition of Intergen to the development team, and the collective work of the governmental partners with the Cap project this lifetime dream has the making of being a reality," said Wheatley. "I am excited about the place that we are in; after years of planning and negotiations, I believe we are now poised to realize the great potential of the redevelopment of the Lower Hill District," said Councilman Daniel Lavelle. "Not only will we be able to physically reconnect the Lower Hill to downtown, but more importantly, there is now a team in place that understands and prioritizes the social and economic reconnection of the two communities. We are now in a place to realize the goals and objectives of the CCIP, and I look forward to working with PAR, Buccini/Pollin Group and Intergen moving forward." Kevin Acklin, senior vice president and general counsel of the Pittsburgh Penguins, said the new team built into the plans features that align with the Hill District neighborhood's interests, including direct investments to be made by an innovative reinvestment fund generated by new taxes produced by the development for commercial and affordable housing and other investments throughout the greater Hill District neighborhoods. "We have a Community Collaboration and Implementation Plan [CCIP] in place and a CCIP executive committee comprised of Hill District community development leaders, and they have been working very hard for several years to bring us to this moment," Acklin said. "It has helped us focus on the important investments that will make this project as successful as possible for everyone in our community." "The development will leverage private investment and generate 50 percent of the LERTA [Local Economic Revitalization Tax Abatement] directly to the Greater Hill District Reinvestment Fund, which we estimate will create $25 million to empower and help rebuild the greater Hill District neighborhood," Acklin said. The development partners will continue to work with the CCIP executive committee to pursue additional community-focused features and public design elements/installations commercial enterprises that will create better connections to the greater Hill District and honor the historical and cultural importance of the neighborhood. Acklin also said the team is working on a public meeting, to happen within the next 60 days, to continue dialog, feedback/input and refinements as the plan moves forward. He noted that the new plan builds on the preliminary land development plan (PLDP) that was previously approved as well as extensive prior public reviews and approvals. Morehouse said the plans have drawn strong interest among additional partners and prospective tenants, with various deals in the pipeline. "We are pleased to present our new team and updated development plan to the city and entire region, and we expect to have additional exciting announcements in the near future," Morehouse said.